Straps or no straps? Usually in life, the answer is clear: strapless is considered sexier! 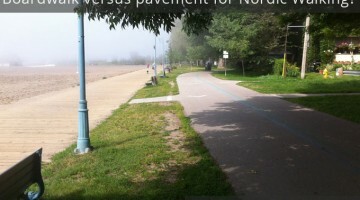 But in the world of Nordic walking, the question is the subject of a raging debate. 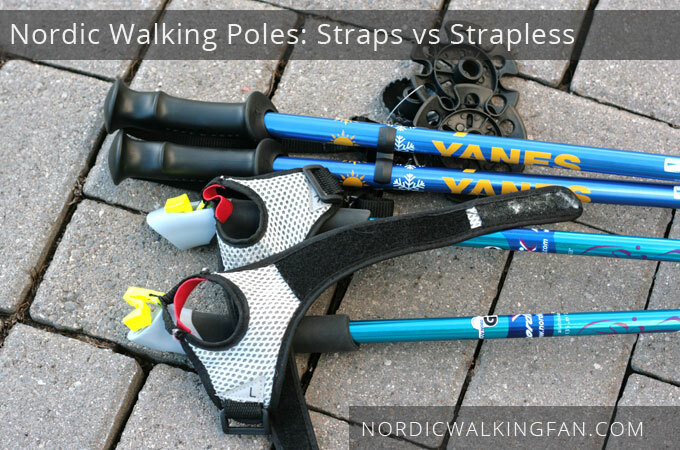 One school of thought says that without straps, it’s not really Nordic walking. It holds that to be done properly, you need to push partly done through the strap and only the strap allows the pole to be used at the correct angle. 2 The strap allows you to release the pole on the backstroke without dropping the pole, and causes the pole to come back into your hand in the right position as you bring that arm back forward. Each school of thought is generally tied to a business trading in that particular model of Nordic pole. 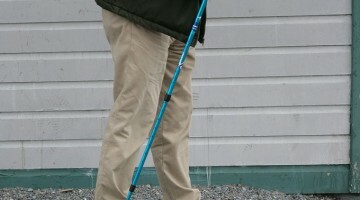 In a 2005 piece entitled, ‘Straps’ versus ‘Strapless’, Nordic walking enthusiast David Downer compared the two models from a neutral point of view. He feels that being able to have your hand partly open at the end of each push is important, and only possible with a strap — but you can read for yourself to see here. 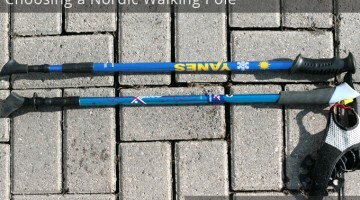 I’m too new at Nordic walking to know anything for sure, and I’ll never dedicate myself professionally to it as these people have to enable me to have more fact-based opinions, but what I can say is with straps when I remember to push properly, via the arm through the straps, then I really feel my upper arm getting a good, proper workout. Mind you, if a dog attacks you or something, it’s going to be harder to free up your hands instantly from the poles. Whether you end up going with straps or a strapless design for your poles, there are fantastic benefits and enjoyment to be had from Nordic walking and you’re going to love it. If you go with straps, then you have two choices of design: permanently attached or detachable straps.